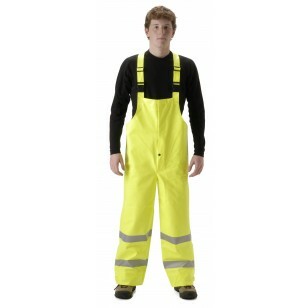 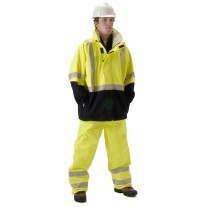 NASCO Sentinel fluorescent yellow bib style trouser with quick release suspender system, fly front with snap, Velcro® tab type leg cuff adjusters, 3M Scotchlite™ 2″ reflective trim around calves and knees, ANSI 107 Class E, Level 2. 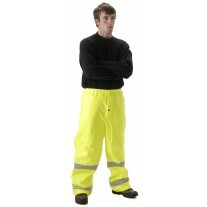 The NASCO Sentinel™ excels in joining comfort with durability and protection. 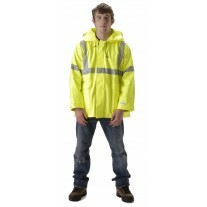 While keeping workers safe from electric arcs and flash fires, the durable Sentinel™ material extends the usable life and level of comfort well beyond other raingear. 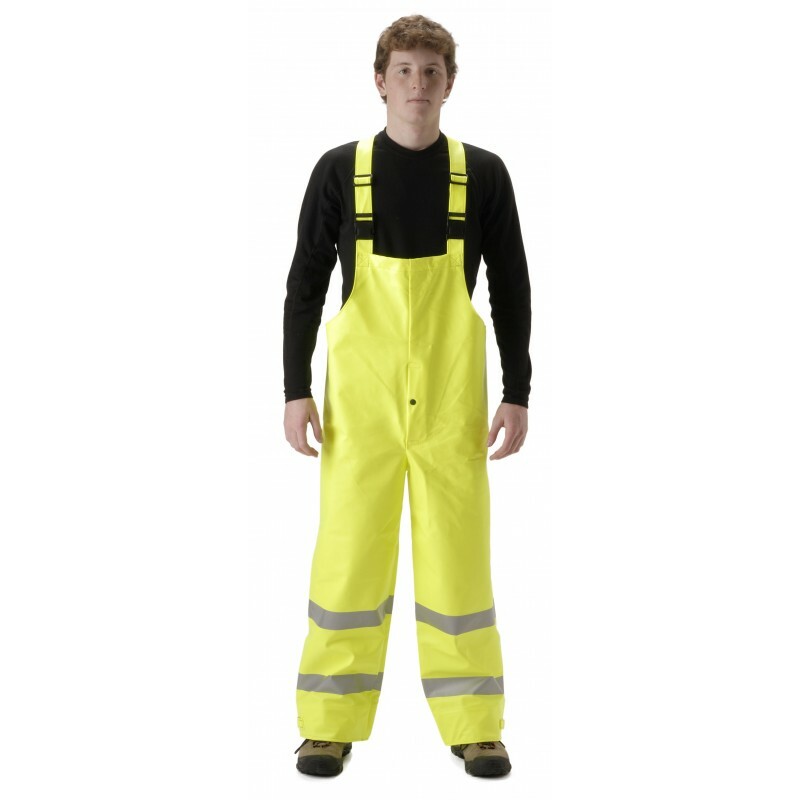 10 oz/yd² FR cotton knit, FR polyurethane moisture/chemical barrier, Arc Resistant (ASTM F1891, NFPA 70E) Flash Fire Resistant (ASTM F2733), Chemical Penetration (ASTM F903), ANSI 107-2010 Compliant Dielectrically Welded Seams with Safety Stitch.